The organization urged Buhari to move swiftly to implement these recommendations as a way of demonstrating his government’s commitment to ending the perception of lack of transparency and accountability in the spending of military budgets in the context of the conflict in the Northeast and to ensure the safety and security of soldiers and all Nigerians in that part of the country. The letter reads in part: “The military’s inability to respond adequately to the Boko Haram insurgency suggests among other things a mismanagement in the spending of the country’s defence budgets. Establishing a commission of inquiry to investigate how defence and military budgets have been spent since 29 May 1999 would help Nigerians to know if the funds meant to defend the country and for purchase of arms to empower Nigerian soldiers to fight Boko Haram have been transparently and accountably spent. “The proposed commission should be led by a retired justice of the Court of Appeal or the Supreme Court of Nigeria. The activities of the commission must be open to the public and all those who have been responsible for the spending of the country’s defence and military budgets should be summoned to give a public account of how the money was spent. “Testimonies should be taken in a way that ensures that specific military operations are not disclosed and national security not compromised. The commission should make recommendations including on the prosecution of those found to have mismanaged and/or stolen public funds meant to fight Boko Haram. 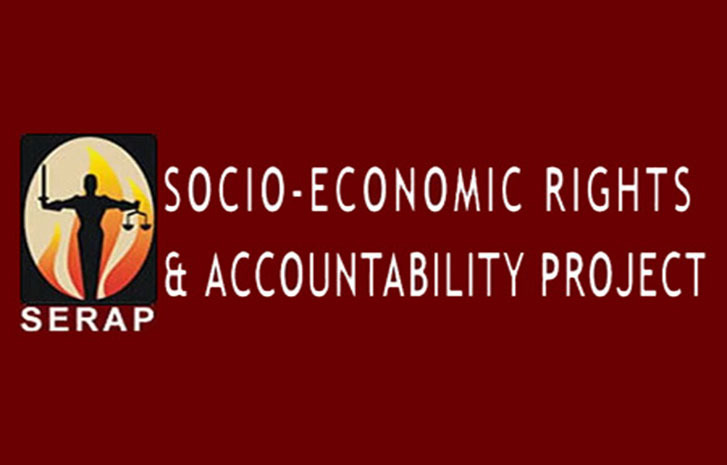 “SERAP is concerned that many cases of those alleged to have diverted and shared funds meant to purchase arms to empower Nigerian soldiers to fight Boko Haram have stalled. Given the continuing delay in the prosecution of such cases, and the need to send a strong message that corruption in the spending of funds meant to fight Boko Haram insurgents will not be tolerated, we urge you to immediately refer all such cases for investigation and prosecution by the ICC. “Opacity and deficiencies in the way arms purchases are decided and controlled if not urgently addressed would continue to expose our soldiers to risk of attacks and killings; displace people and destroy their means of livelihoods and render them homeless, thereby undermining human rights, including the right to life, right to personal security, right to education and right to livelihood. “SERAP notes that in 2014 about N340billion (US$1.7billion) was allocated to the military. Also, a number of offices had budgets allocated to them in relation to the Boko Haram conflict. The military received the largest funds in the federal budget in 2014. In October 2014, the National Assembly approved a request to borrow US$1billion as an additional amount for purchase of military equipment. In 2015, about N375billion (US$1.8billion) was allocated to the military in the federal budget.